Staying at home on 31st January without anything to do? Why not leave your home to catch this once in a lifetime phenomenon? 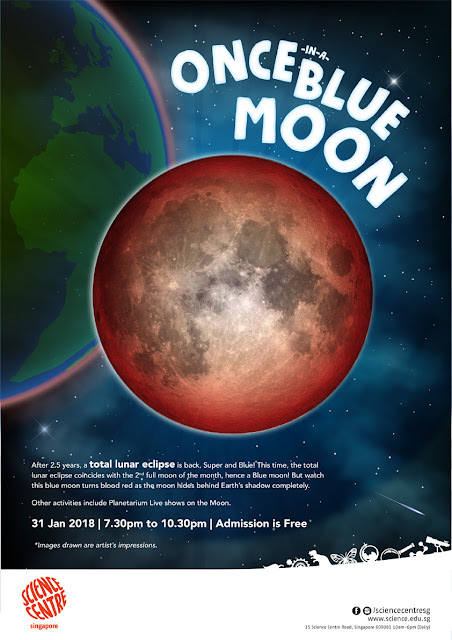 According to Science Centre Singapore, singaporeans will be able to catch sight of a incredibly rare event known as the "super blue total lunar eclipse". 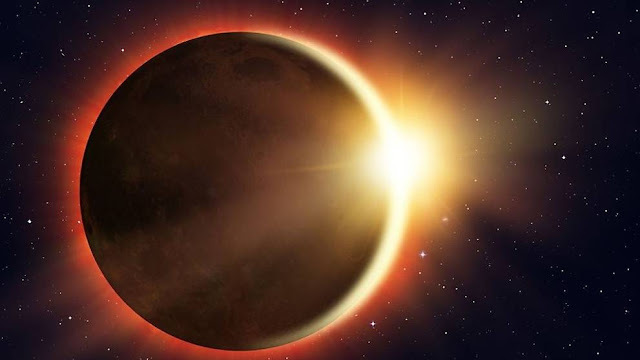 This occurs when a supermoon, lunar eclipse and a blue moon all occurs at once, thus giving its name. A supermoon occurs when the full moon is at its closest to Earth. A lunar eclipse is when a full moon hids behind Earth's shadow and a blue moon only occurs when it is the second full moon of the calendar month. This is an extremely rare event and is likely that anyone alive have not seen it live before, since the last time it happened was back in 1866, almost 152 years ago. 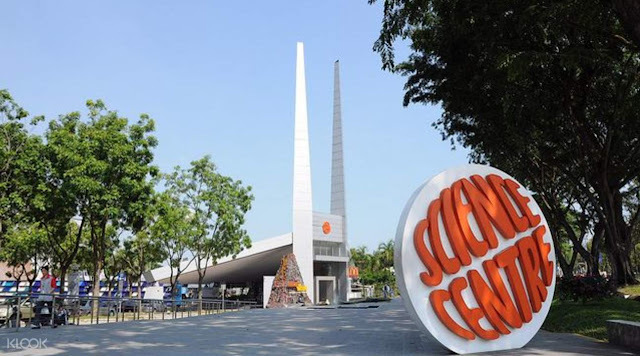 This is a treat for all stargazers and astronomy enthusiasts. No special equipment is needed unlike the solar eclipse where a special solar viewing glasses is needed. However, the use of a telescope or binoculars will allow viewers to catch a better sight. The Science Centre has also organised a Free-of-Charge special viewing session from 7:30pm to 10:30pm for people to catch sight of this phenomenon.